If you’re like most people, you sit down a lot; at work, on your commute, and at home on the couch. You also spend some time hunched over your smartphone. The cumulative effect of these habits may be impacting your posture and health more than you realize. While the topic of posture does not get much attention, recent research shows your posture can change your hormonal balance and have a direct impact on your mindset and career success. So how do you improve your posture? The title of this article may sound far-fetched, but one simple tip can help you improve your posture in less than 5-seconds, more like 1, or 2-seconds. Pretend there’s a string attached to the rear top of your head pulling you straight up toward the ceiling so that it feels like you are getting lifted off the ground. Try applying this tip right now. Stand up and pretend the string is pulling you off the floor. Think about how you feel as this happens and the changes in your body. When you apply this tip, several postural improvements may happen at the same time. For more detail on each postural problem, check out: 5 Common Posture Problems & How To Fix Them. 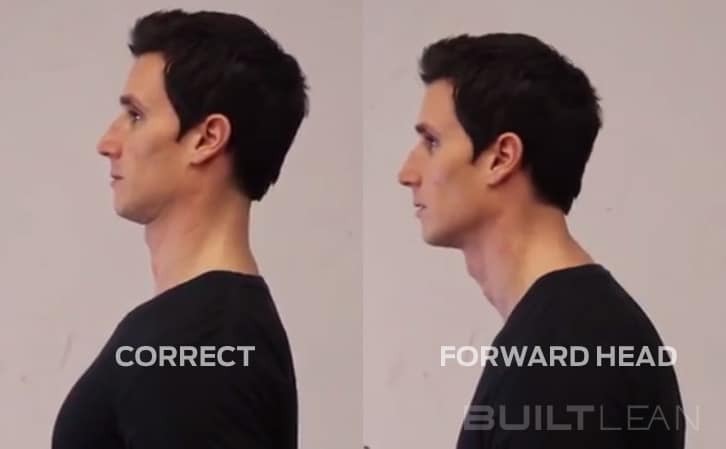 Instead of your head protruding forward, your head drops back and your neck becomes straighter. Your ears become aligned closer to the midline of your shoulder. 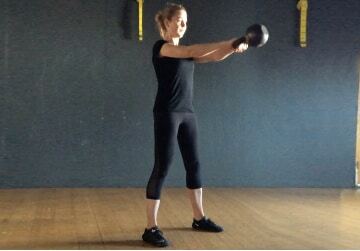 Your shoulders drop back down and away from the ears, instead of rounding forward. Your arms and hands settle toward your sides, not over the front of your legs. Your hips may become more neutral, instead of being excessively rounded forward, or backward. 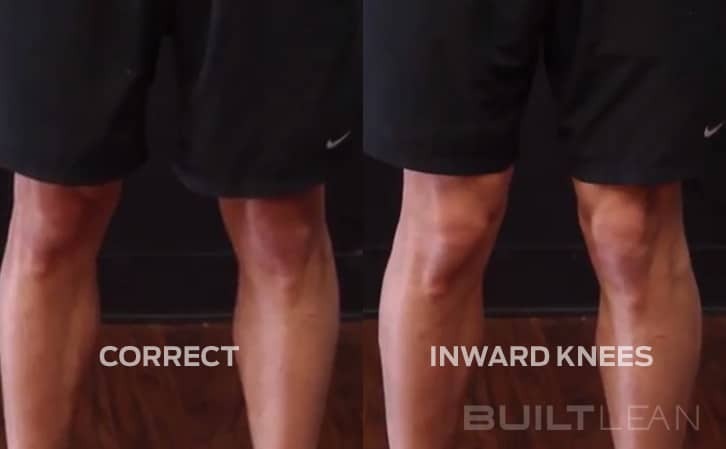 Instead of your knees rotating outward, or inward, they may straighten. 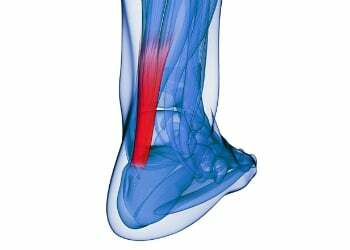 If you have flattening feet like most busy professionals, this tip may help you restore more of an arch to your feet. Notice in the left photo above how the line starts at the bone on the side of my ankle (called the malleolus) and extends up my body through my ear lobe. On right photo, my head, shoulders, and even hips are forward of the line, which are common posture deviations. While this simple posture tip can be useful to help you experience what proper posture feels like, it will likely not correct postural deviations you may have. Furthermore, some of the preceding corrections may not occur when you apply this tip. Ideally, correct posture should be held subconsciously, which may require a lot more time and effort to attain. Sustainably improving posture can be a complex topic that is explored in depth by organizations like the Posture Restoration Institute (PRI). I think the first place to start is to get your work station set up ergonomically. It may be hard to believe, but posture directly affects your mindset, career success, and even your hormones! Clearly, posture is important in our lives. I do hope this simple tip can help you feel a little more confident and energetic. I hope to explore how to sustainably improve your posture and loosen up stiff muscles and joints in future articles and videos. What do you think of this tip? 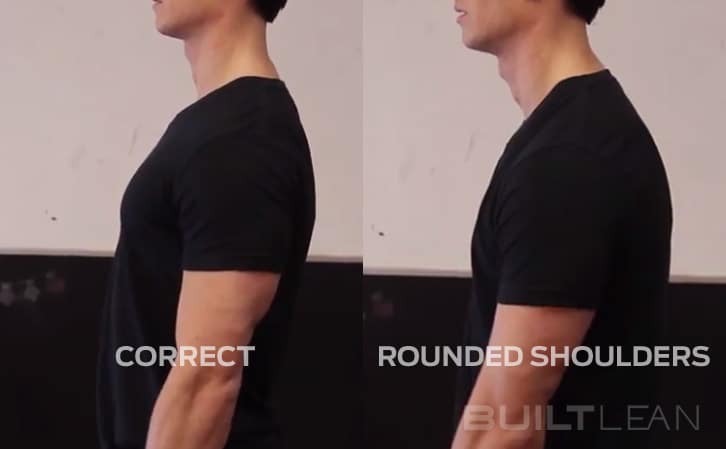 Did it improve your posture immediately? Thanks for the tips, Marc! Very helpful! 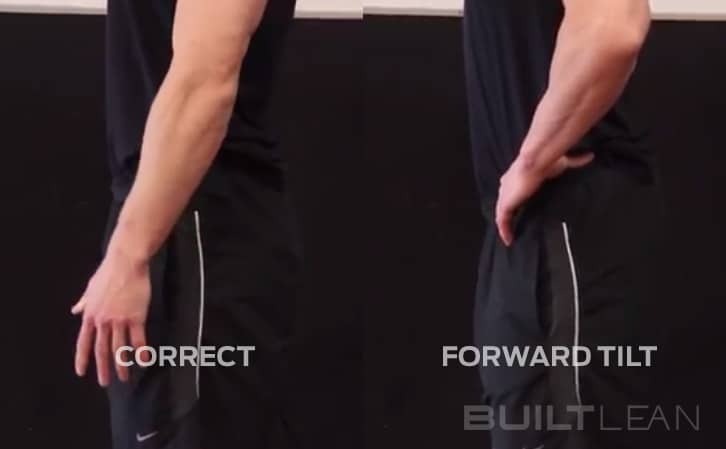 Easy and practical tip for immediate short term improvement in posture! (using it myself and will continue to – also shared on FB ) I am wondering Is there exists any literature on the frequency and duration it takes to begin to see a “lasting effect” ? @lee – that’s a great question, unfortunately, I do not believe there is any literature on it. I do think applying this tip can make improvements, but ultimately addressing the source of poor posture (work station / sitting, sleeping, sitting on the couch etc.) and combining that with soft tissue work (foam rolling etc.) and daily stretching can create the most lasting changes the fastest. 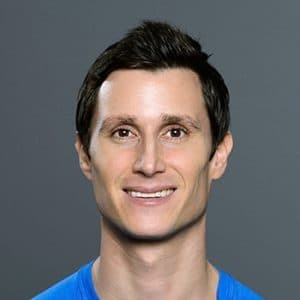 Hi Marc! 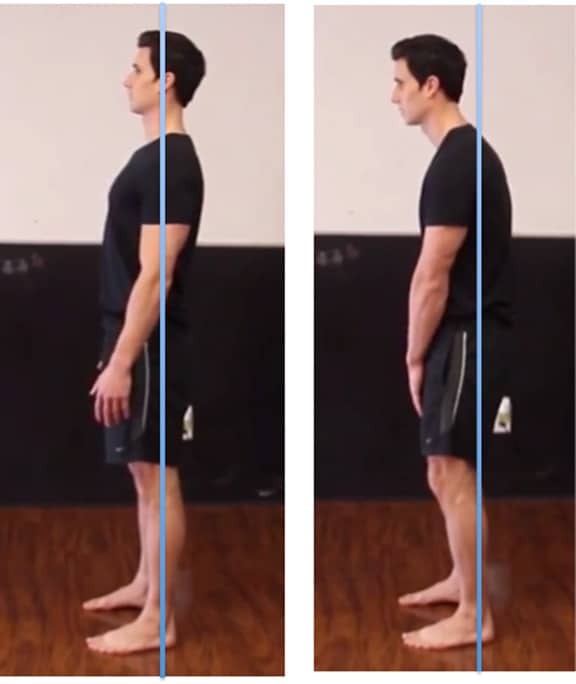 FANTASTIC post about posture alignment – really appreciate the visuals as well as you can see the stark difference between correct and faulty posture. I’ll keep the “pull-string” technique during class when I usually tend to slouch and hunch over. Looking forward to more videos and checking out Amy Cuddy! Thanks for the feedback Alex. Happy you enjoyed the post. I have always been given a hard time because I sit straight in my chair (@ work angled forward) and car (headrest had to be reversed to accommodate this). I am always reminding people to stand straight, shoulders back, chest out. (as my father did), looks better on pictures and noticeable if you’re a guest on TV. I am glad that info is passed on. This doesn’t relieve my knee problems or my issues with my feet, guess I can’t ask for everything. I already know and practice this tip as much as I can because portraying a confident, strong and focused image is key to what I do for a living, but reading it here and being reminded of the importance was motivating. Great demo Marc. Very clear. As for literature on seeing lasting results. Try anything on Pilates. It was the first thing we were taught when studying Modern Pilates (UK). There are lots of different Pilates companies, but the basics are the same. Look forward to your daily posts. Very informative.. thanks Marc! Good to see this one, good posture is a challenge for many people. This is a great tip! I will be using it with the girls I teach physical education to, as they are body and fitness conscious. Thank you! It is an excellent tip ! I will do it all days . Amazing that such a simple concept can effect so many different body parts and actually effect hormonal production. Any new thoughts that are especially easy to remember on how to apply this tip to daily life? In perfect world, proper posture would be subconscious, but I think using this tip before a presentation, meeting, or when you first sit down could be very useful, just to give you some ideas. Thanks for the tip I will give it an honest try! I thought the forward head posture doesn’t look natural. But the tip is great! You’re right; screenshot is not the best, should be slightly more forward. Excellent video- the older you get the more ingrained bad posture becomes. I never thought of this any further than my forward “slump” but this is really a head to toe thing. Looking forward to learning how to maintain correct posture- I find that once I correct my posture, it’s a matter of seconds before I’m back to the slump and I don’t even realize it..
Hey Patrick, that’s a good point about the entire body. When I do a posture screen, I start at the feet and work my way up. 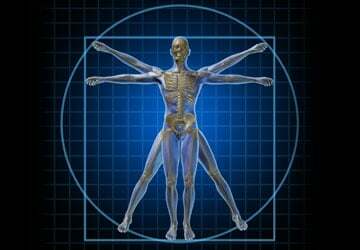 The entire body is one integrated unit, so every square inch counts. Thanks a lot, not all but some points were not correct with me, not its 100%. Thanks for sharing the valuable information. Thanks, Javed. Happy you liked it. Thanks great tip – and I need it. 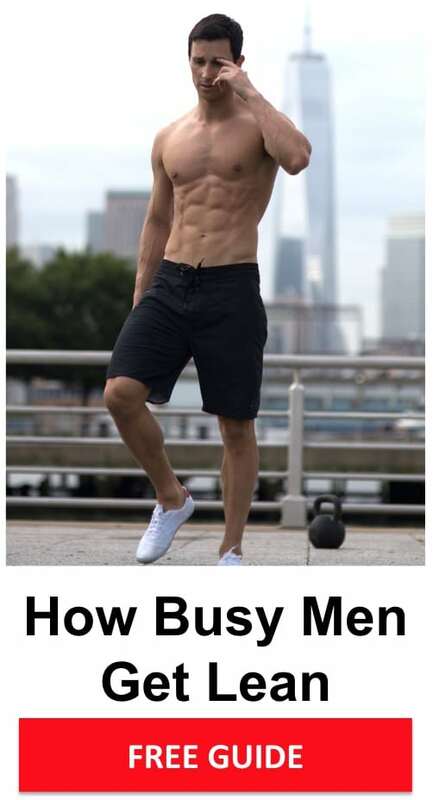 My posture has “always” been very poor. When I did this I could feel the muscles in my back stretching. The issue is maintaining the position subconsciously. Short term is fine so I’ll have to work at holding longer as time passes. Thing is, I know it looks better and confidence is higher. Probably doesn’t help that I’m not very tall either. On On. Thanks, Greg. 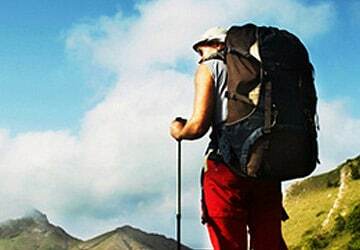 I hope to add some more articles / videos on how to more sustainably improve posture. Marc – This one is spot on! I have had a tai chi/qigong practice for over 12 years. One of the first things we learned is the appropriate posture – like a puppet on one string at the top of the cranium. 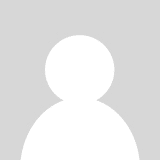 From that location – all corrective actions flow! How one learns to position or hold ones self can have amazing results on the body structure. Kudos as usual!!! Very cool, I didn’t know that, Ken. Thanks for sharing! Excellent article. I am battling a chronic shoulder problem that I believe stems from poor posture. Doing ‘wall angels’ and focusing on posture improvement has probably done as much as any rehab or strengthening exercises I’ve tried. Thanks for the helpful advice. Wall angels are definitely effective, especially when the rib cage is kept down, instead of flared. Wall angles are also known as wall slides. Thanks for sharing, Pat. Thanks! Didn’t know my posture can impact so many aspects in my life! I found the Amy Cuddy Ted talk last year. I think everyone should watch this talk. Her story is very moving. Thankx for the tip Marc. Will use this in my class Monday and clients next week! Thx! Thanks Marc! I’ve noticed my awareness 10 fold after reading this article. I appreciate the completeness and thoroughness of your article.